I wish I had more time to run the Allison, and test a few more things. But, the good news is we did make one adjustment that made a difference, and the modification was directly related to our recent article about gearcases. For our stock 150, the pedestrian gearcase needed a low water pickup at the very least. We opted for a custom nose cone, and in hindsight, I probably just should have got a Bob’s Machine nose cone, and modified it myself. The one we have is too pointy, and not finished off as well as I’d like. So, I began to round out the tip, using a simple file, and later sanded it to smooth out the finish. I made a repair on the skeg, and refinished that as well. I did a quick paint job to blend it in, but will probably improve that next time I get a chance. Here are the results, and some updates on the boat. I blueprinted the gearcase by filing down the tip, and rounding it out. I refinished the skeg too, to make it perfect. This allowed us to gain 1 MPH, but I think it’s worth 2 MPH if the rev limiter didn’t kick in. Just by rounding out the tip of the gearcase, we gained 1-2 MPH. 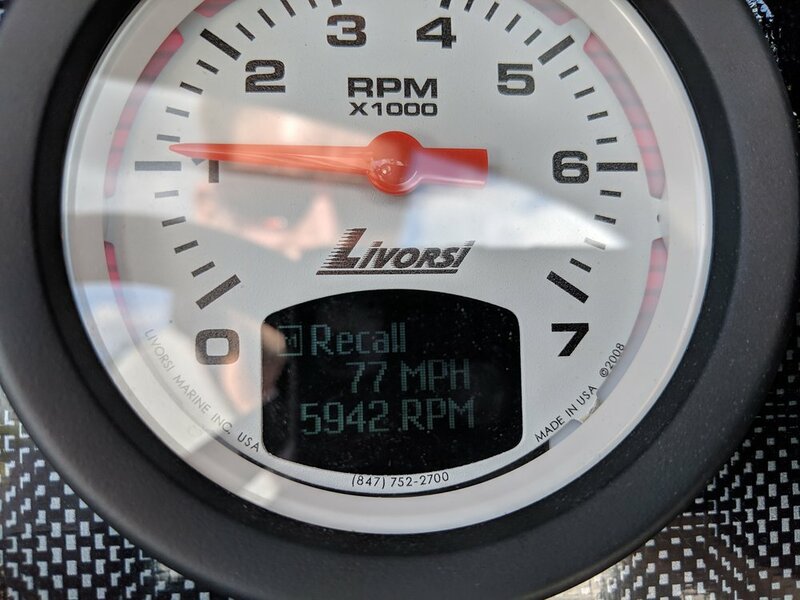 Our recall says 77 MPH, I was running it for a long straight away, and it was on the limiter, and the speedometer read 78 MPH, but either way, we bumped the speed, just by making a minor change to the nose shape. We also had a full tank of gas when testing. I also got around to balancing the boat better, for when there is no passenger, I slid a couple 15 Lbs weights in the side, making it easy for adjusting. With minor adjustments, we are running 6% slip, with a 28” ProMax at the rev limiter. We can probably get to 80 with a different prop. This gearcase modification would help faster boats as well, and reduce chances of blowout at even higher speeds. If you took a Bob’s nose cone, rounded the tip, and just filled the prop side intake like we outlined in the gearcase article last week, you’d have a pretty universal cone, for many different boats. We were going to raise the engine, but the problem with that is you would just hit the rev limiter earlier, unless you changed the prop as well. I only have access to this prop right now, so that wasn’t an option. Plus, at ¼ or ⅛ below the pad, we are running the boat really efficiently, and safely, without giving up much. We are at 6% slip with the Mercury Racing 28” ProMax propeller, which is extremely efficient. The next logical step is try a 30” ProMax, or possibly another 30” prop. Theoretically, this should push us to 81, or 82 MPH. You do lose some efficiency with a higher pitch, but we might gain a little raising the engine a 1/4 inch. There’s only one way to know for sure. The best modification overall might be to tune the ECU, and let the engine rev up a bit, and also gain some power. 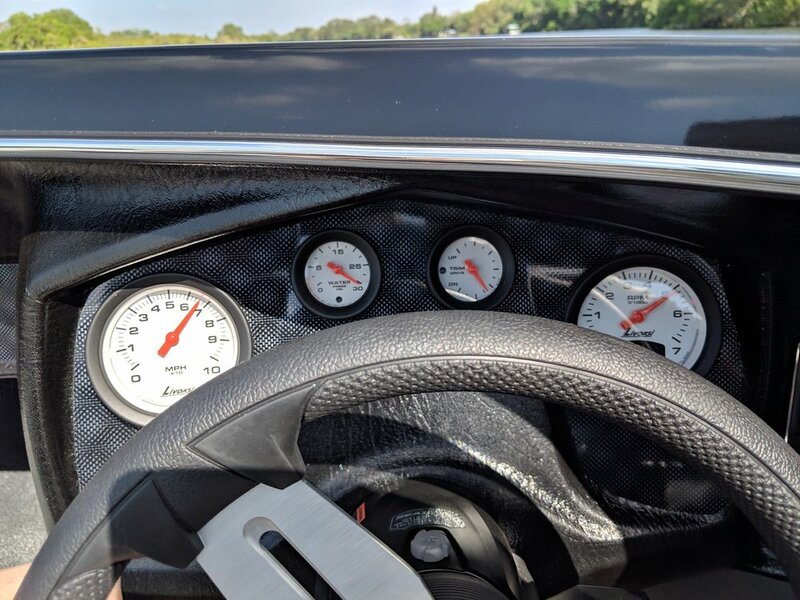 After all, this is just a stock 150 HP engine, 20 more horsepower, and 500 more RPM would make a much bigger difference, without sacrificing the amazing all around performance of the 28” ProMax. Our original goal was low seventies with this setup, so we are eclipsing that no problem. And the way it is setup, it can cruise all day, and drives well at all speeds. That is the beauty of this engine, it is so smooth and quiet. You just turn the key, and can get 10 MPG at around 40 MPH, making cruising very cost effective. The ECU tune is a big decision and pricey, so we will think about it. The Allison Grand Sport and 150 Mercury four stroke work pretty well together. Cruising at 40 MPH or 70 MPH is no problem, and probably gets triple the gas mileage most boats get. Next up is more props, I will see what I can get my hands on in the next while. 80+ MPH is very much possible, with just a prop change. If the figures are true with the ECU tune, I wouldn’t be surprised to see 83-85 MPH. The Caloosahatchee River in Florida is a good testing ground. It’s freshwater and usually calm.